hd00:25Hong Kong, China - August 15, 2015: People at a bus stop in Hong Kong. Some wait for the bus. Some walk along the sidewalk. Cars are on the road. 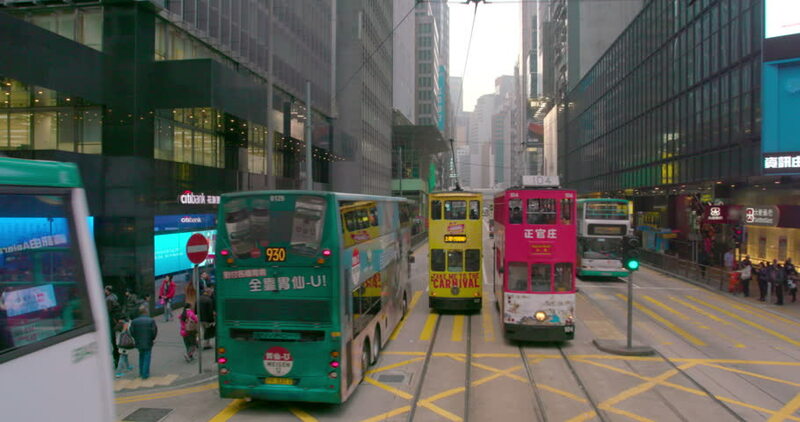 hd00:31Hong Kong, China – August 14, 2015: Taxis, cars, buses and trams on the road in Hong Kong. People traveling by using public transport. Some pedestrian are on the sidewalk.